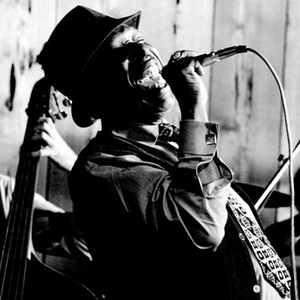 Eddie Jefferson (3 August 1918 - 9 May 1979) was a jazz vocalist and the founder of vocalese, where a singer sings words to a famous instrumental solo. His best known composition is "Moody's Mood for Love" though it was recorded first by King Pleasure, who cites Jefferson as an influence. His songs "Parker's Mood" and "Filthy McNasty" were also hits. Jefferson's last recorded performance was at the Joe Segal's Jazz Showcase in Chicago. His band at that performance was Richie Cole (alto sax), John Campbell (piano), Kelly Sill (bass) and Joel Spencer (drums). The performance was released on video by Rhapsody Films. Tragically, Jefferson was shot and killed outside of a Detroit nightclub two days later at age 60. This was part of a tour that Jefferson was on with alto sax man Cole and their opening night in Detroit was at the legendary Baker's Keyboard Lounge. A jazz club that was built in the 20's and has played host to everyone from Dexter Gordon to Sonny Stitt. Eddie Jefferson was gunned down on his opening night at Baker's on May 8th 1979. He left the club with fellow band leader, Cole around 1:35 a.m. and was shot while walking out of the club. A late model Lincoln Continental was spotted speeding away from the scene, whose driver was later picked up by Detroit police. He was later identified as a disgruntled dancer that Jefferson once worked with and had once fired from a gig. The suspect did not have enough evidence to be held in jail and was later acquitted.